Construction of the reservoir to stop flooding in the First Ward below changed the layout at Ely Park! What hole is this? Did you know some of the holes up at Ely Park had as many as six different numbers from earlier course routings. Well, that depends! Most of it know it as No. 2, the downhill short par-3 with the shoe or hourglass shaped green. But in the early days it was also known as Nos. 8, 9, 11 & even 18! In fact seven holes were called six different numbers and the average different hole numbers for the current 18 holes at Ely Park is nearly five! The ladies tee for the old reservoir hole can be seen west of No. 16 green. At one time there were two other holes that no longer exist, at least not in their entirety. 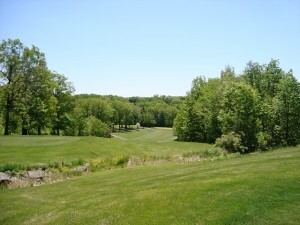 They were modified when the reservoir was created to the right of what is now the 12th hole. One hole, No. 3 originally when the second nine was constructed and then No. 5 when an old Rockefeller summer home was converted into a clubhouse to the left of current No. 3 fairway. 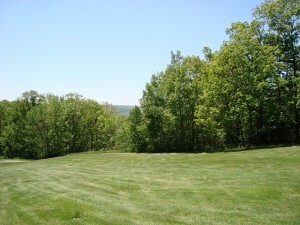 It was a long downhill 584-yard par 4 from the back tee (which was hidden in a chute in the trees behind current No. 12 tee. It was like the shape of an ‘L,’ about 200 yards to the South, then severely downhill to the right. 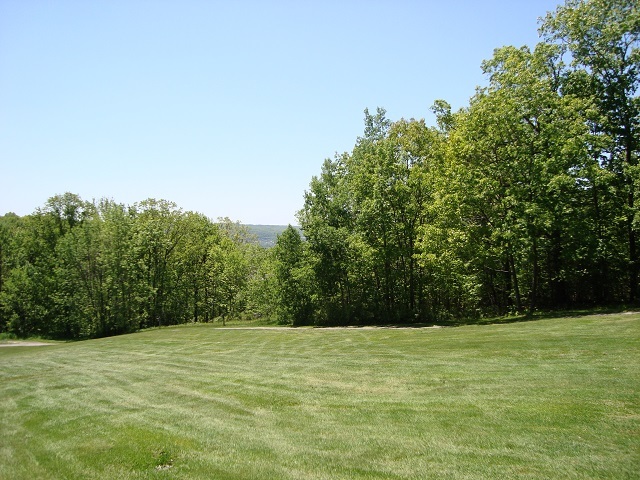 The ladies tee, which was located on the outside of the dogleg right, making it a straight downhill hole, can still be seen west of the current No. 16 green.west. Ladies’ tee shot on the old reservoir hole. Trees have grown in where the fairway used to be. The other hole, No. 4, then 5, used to start next to that 3rd (or 5th) green, down where the reservoir is now. It was a par-5 that came straight uphill to the existing 13th green. The old No. 3 green (down in the reservoir) was hastily relocated to the current No. 12 green site. 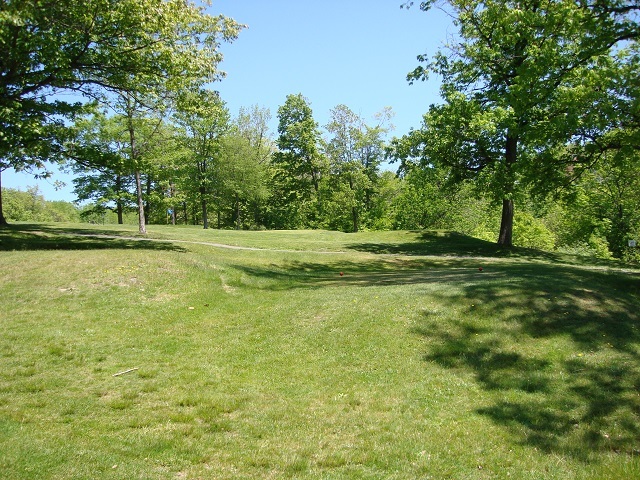 Net net, a long downhill dogleg right par-4 hole became a medium length (for Ely Park) downhill (albeit less) slightly dogleg right par-4 hole. A straight uphill par-5 became a relatively long uphill par-3 and Ely Park’s regulation par changed from 72 to 70. Current par-5 No. 14 used to be a par-4 and when back tees were added became a par-5 and par became the current 71. 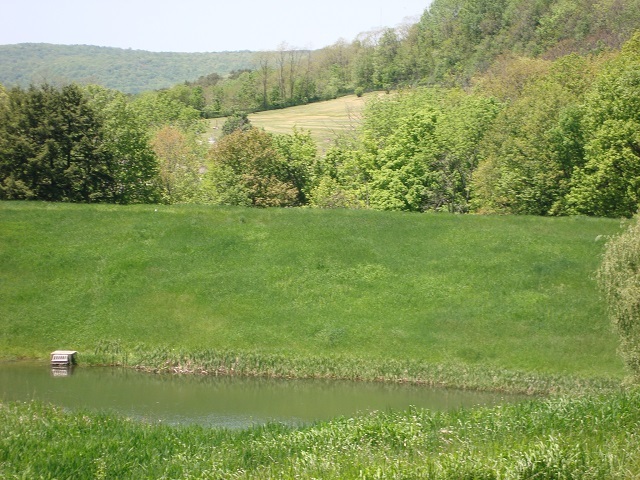 The dogleg right of the old reservoir hole can be seen as an indentation on the right side of the fairway about 150 yards out. 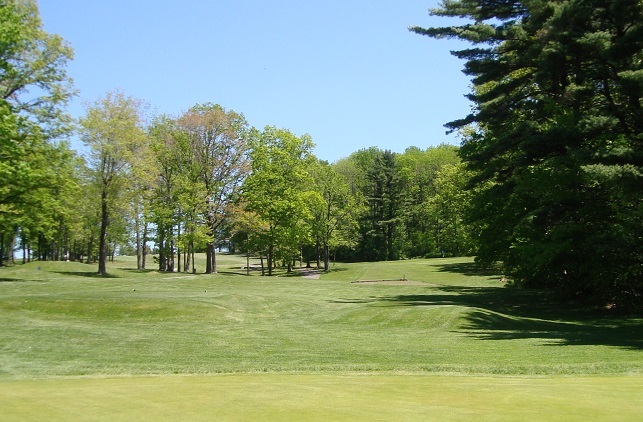 CLICK on the link below for the Excel File to learn more about the historic routings and hole numbers of Ely Park Municipal Golf Course since it opened up on Labor Day 1933. If you have a better memory or an old scorecard that is different than any of these routings please send the information to AndyReistetter@gmail.com. Thank You! The green on the par-3 13th hole was the green for the old par-5 that came straight up from the reservoir hole.